Last Saturday night’s Powerball draw ended anticlimactically as its weeks-long rollover streak was left unbroken yet again. It was a sad day for those hoping to win the $385 million jackpot, but just like most rollovers, it’s also a blessing in disguise! Come Wednesday, March 14, the jackpot will now be worth $420 million with a lump sum option of $248 million. So, even if you didn’t win the grand prize, at least you can win a bigger prize next time. But hey, maybe you still have a shot at the secondary prizes. Saturday’s draw had over 1,003,610 winners, so you might just be one of them if you entered the March 10 draw. 3 tickets, for starters, won the $1 million second prize, with one of them taking home $2 million instead thanks to the Power Play multiplier. Meanwhile, 25 lucky players won third prize, 635 won the fourth prize, and some 1,535 players won the fifth prize. And there are thousands more that won the 4 lower prize tiers. The Mega Millions jackpot continued to rollover as the March 9 draw ended with no grand prize winners in sight. 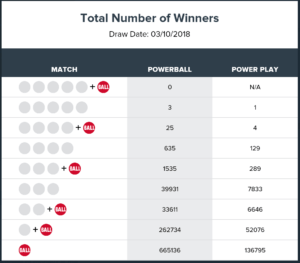 What could have been a $290 million win will increase to a massive $318 million jackpot with a $187 million cash option come Tuesday, March 13. There were no second prize winners as well. As for smaller wins, there were a total of 11 3rd prize winners, 443 4th prize winners, and 1,186 winners 5th prize winners, along with thousands of 6th, 7th, 8th and 9th prize winners. Overall, there were 309,354 winners of at least $4 each. There were no winners of the £45,846,428 Euromillions jackpot offered on the March 9, 2018 draw, which means that come Tuesday, the jackpot will now increase to an estimated £54 million. While nobody won the top prize, there were 2 lucky players who won the £387,985.60 second prize. One ticket was sold in Dublin, while the other was sold somewhere in the south of Ireland. Overall, there were 2,165,222 winners of at least £2.40 each. Even if you didn’t match any of the numbers nor the Lucky Starts, don’t forget about the UK Millionaire Maker Codes! 2 winners are guaranteed every draw, so don’t throw away your ticket. 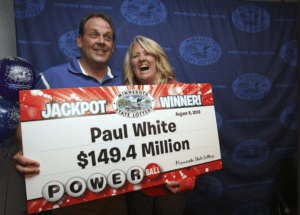 49-year-old Paul White, a 2013 Powerball jackpot winner, was seriously injured in a terrible car crash that caused the death of his girlfriend’s daughter. 18-year-old Lauren VanReese of Andover, Minnesota, got thrown from the van, which had rolled multiple times after getting hit by a Ford F-150 pickup. Along with White, his girlfriend Kimberly VanReese, 50, was also injured, though she was reported as being in a “fair condition.” There were also 14 other people inside the van at the time of the crash. A blood test conducted by police showed that the pickup’s driver, 30-year-old Nisbany Surit Garcias’ blood-alcohol content was .18 percent, which was way over the .08 legal limit in Florida. He was charged with 1 count of DUI causing death and 9 counts of DUI causing damage to a person or property. It all began in 2011, when a North Dakota woman lost her entire life savings—some $300,000—to lottery scammers. And soon, over 90 people, most of which were elderly, fell victim to the nasty scam perpetuated by a group of at least 27 individuals from Jamaica. It was only on January 9 and February 23 of this year that the last two fugitives—Mario Hines and Gareth Billings—were finally caught, seven years after eluding capture. According to authorities, the suspects used an all-too familiar scam. The scammers would call their targets and inform them that they had won in a lottery draw, persuade them to pay a fee so they can receive their winnings, and disappearing once they had their victim’s money. The suspects have been charged with conspiracy, fraud and money laundering and are still being prosecuted in North Dakota. All except Hines, Billings and one other suspect have pleaded guilty to the charges. Expect more updates as this story develops.